ANT: team work; persistence; focus. Order, Discipline. Industrious. Tireless. Planning and seeing future needs. Seeing plans bear fruit slowly over time. Not being discouraged or daunted by the task. Patience. Knowing how to work with others. Community-minded. Co-operation. Working for the common good. Not letting one’s ego get in the way of the group. Being patient with one’s own and others’ efforts. Appreciating being in a team. Looking out for others. achieving goals, especially in creating a home and safe base. Digging in. Getting down to it. Getting the job done. Overcoming apathy. Organizing one’s home. Orderly environment and day-to-day living. Managing time efficiently. Protecting privacy. Protecting the home. Self defense. Not being overawed by others; standing one’s ground. Willing to fight for what one wants. Knowledge of healing herbs. Persisting to find a cure. BEAR: introspection; protection whilst healing. The energy of the cave; going deep within to renew and heal. Ability to hibernate. Healing oneself, or nursing others. Grounding and protection whilst one heals. Knowing that time heals. Knowing the value of silence and solitude. Finding the answers within oneself. Inner resources. Caution and reflection. Knowing when to withdraw and when to fight. BEAVER: building one’s dreams; making it happen. Remembering what one wants. Believing one can do it. Acting on one’s plans. Being able to create the environment one wants. Using the resources that are available. Getting what one wants without aggression. Gentle persistence. Teamwork. Industrious energy. Taking on big jobs in bite-sized chunks. Living and working in harmony with the environment. BUFFALO: gratitude and abundance. Overcoming poverty-consciousness and feelings of isolation. Appreciating how the earth supports and provides. Giving thanks. Feeling part of the herd, tribe and ancestors. Clearing the path for our success and prosperity. Appreciation of the sacred. Feeling connected to (mother) Earth and (father) Sky. Grounded spirituality. Respect for all life. Living in harmony with nature and spirit. Generosity of heart. DEER: gentleness and sensitivity. Knowing how to be gentle with others. Open hearted. Loving kindness. Empathic understanding. Emotional sensitivity. Compassion. Appreciation of the wounded child. Vulnerability. Humility. Building trust. Moving with great peacefulness, calmness, care and patience. Keen perception. Clairvoyant and clairaudient abilities. responsibilities and burdens when necessary. Carrying burdens with ease. Willingness to help others when needed. Knowing when to not take on too much, or be led against one’s will. Strong sense of self and boundaries. Not allowing oneself to be pushed beyond one’s limits. Knowing when we can or cannot handle something. is important. Inclusive leadership. Concern with the welfare of all. Loyalty. Affection. Respect for others. Concern for others welfare, especially the elderly, vulnerable and children. Right action. Responsibility. to sense what lies over the horizon. Farsightedness. Clear sense of where one is going, where one has come from, and where one is now. Realising how far one has come. Setting sights on the path ahead. Taking stock of one’s life from all angles. Grounded, yet spiritual, perspective. Holding ones head high. Moving forward with grace and poise. Calmness. Serenity. Gentleness. Not stooping to gossip. GORILLA: strength; gentleness; groundedness. Accepting responsibility. Caring for family and friends. Loyalty to loved ones. Respect. Empathy. Selflessness. Generosity. Compassion. Sensitivity. Using one’s strength and power only for the good of the group. Defending the family. Good parenting. Nobility. Intelligence. Knowledge of plants and herbs. when to withdraw and when to be vulnerable. Caution when needed; being open when appropriate. Overcoming prickliness and unapproachablness. Being completely safe in oneself when under attack. Being open but knowing when to draw boundaries. Defending self without being aggressive. Knowing how to honour and protect one’s personal space. Psychic protection. HORSE: freedom: travel; friendliness; joyfulness. Exploring new directions. Moving on. Overcoming constrictions and limitations. Courage to break free. Getting to where one wants to be. Running free. Sense of adventure. Safe and confident traveling. Free-spiritedness. Self-empowerment. Stamina. Individuality. Big hearted. Warm hearted.. Sociability. Enjoying connection with others. Loving contact. Sense of belonging and connection. Open-heartedness. the root of problems or issues. Guardian of the lower realm. Caretaker of the earth. Profound ease with, and understanding of, the earth element. Knowledge of, herbs, roots, seeds and minerals. Introspection. Keeping to oneself. Pathfinder and path maker. Finding ways round obstacles. Sensitivity to touch and vibration. Healing touch. Clairsenscience. MOUNTAIN GOAT: climbing over obstacles; scaling the heights. Surefooted. Independent. Diligent. Knowing pathways to new realities. Sticking to life challenges. Reaching for the stars whilst staying grounded. Bringing dreams into reality by perseverance and keeping focused on the prize. Establishing resources needed to attain goals. Keeping momentum going even when things seem difficult or impossible. Protection in difficult times. Flexibility. Scaling the heights, spiritual, mental, emotional or material. Ability to land on one’s feet. Receiving rewards and recognition for ones life’s work. MOUSE: attention to small details; scrutiny. Understanding details. Discovering things that may otherwise be overlooked. Thinking out a strategy before acting. Making a journey step by step. Attaining large things by working on the little things. Always assessing the environment. Moving extremely quickly when needed. Organizing things. Ability to be unseen and unheard. Quietness. Ability to hide in times of danger. Cycles of 4 to 6 weeks. RABBIT: gentleness; abundance; fertility; bounty. Creating abundance in life. Sense of bounty and plenty. Confidence in one’s ability to manifest what one needs. Taking advantage of opportunities. Knowing the earth will provide. Trust in gentle ways. Non-violence. Thriving without aggression, ego, or drawing attention to self. Not being paralyzed by fears. Knowing where safety lies. Contact with the fairy realms. SALAMANDER: power of regeneration and healing. Cellular re-patterning. Renewal and re-growth. Help with transformation and transmutation. Delving below the surface. Finding what needs to be changed. Restructuring old patterns, and ways of being, from the unconscious. Shape shifting. Being able to move between the worlds. Help through dreams. Lucid dreaming. productive. Gathering only what is needed. Discard the unnecessary. Discovering new things. Resourcefulness. Balancing work with socializing. Ability to solve puzzles. Awareness of surroundings. Quick changes of direction. Knowing when to run. Ability to hide. difficulties, breakdown or madness. Fearless guide through trials and tribulations. Knowing that one can face life-problems and emerge triumphant. Ferocious self protection when needed. Discovering self-reliance and spiritual strength. Connection to the earth and nature. Fertility and abundance. Tapping into one’s wild, primal power. distractions. Moving with slowness, deliberation and focus. Calmness. Focus. Refusing to be hurried or flustered. Efficiency and economy of movement. Patient persistence. Perseverance. Self-reliance. Stability. Knowing that true stability lies within oneself. Inner security. Feeling at home and safe wherever one is. Strong connection to the earth. ZEBRA: transcending preconceived ideas; tolerance: open-mindedness. Overcoming, rigid, black-and-white thinking. Questioning group beliefs and prejudices. Seeing the truth beyond social or family conditioning. Letting go of projections. Being comfortable with shades of meaning and ambiguity. Integration of complexity and contradiction within oneself. Ability to balance opposites. Maintaining individuality in group settings. Tolerance of other views and opinions. Harmonious social interaction. Togetherness, positive regard and cooperation. EARTH DRAGON: feeling safe and at home on the earth. Guardian of riches and abundance. Self-discovery. Discovering the riches at one’s core. Discovering one’s deepest power and true inner beauty. Awakening one’s latent possibilities. Finds the parts of the soul that have been hidden. Self-actualisation. Taking one’s rightful place in the world. Self-worth. Becoming fully-grounded. Manifesting one’s potential in the world. Being at home with earth. Knowing the power of the land. Bridge to elders wisdom. that is around one (not only what is straight ahead). Expanding perceptions. Able to shift direction quickly. Dancing. At home in the water element (emotions). Working with the ebb and flow of emotions. Staying grounded with emotions. Grounding self in emotional environments. Protection in emotional storms. Feeling at home in one’s body. Protection of home space and one’s body. DRAGONFLY: emotional clarity and spiritual perspective. Traveling between the dimensions. Seeing through the mists of illusions, to the spiritual. Open up to spiritual energies. Balancing emotions with thought (moving between air and water). Seeing through emotional ‘fog’. Changing habits that need addressing. Transformation. Letting go, relaxing, calming down and resting after busy or emotionally-charged times. DOLPHIN: knowing the value of play. Inquisitiveness. Joyfulness. Not taking things too seriously. Enjoyment of movement. Delight in the company of others. Laughter and humour. Sociability. Compassion for others. Empathic communication. Telepathic communication. Working with breath and sound. Being able to call what you want to you. sensitivity. Seeing clearly through emotions. Gentle release of emotions. Honouring emotions. Being gentle with self. Empathic. Affectionate. Community oriented. Sociable. Fertility and abundance. Nourishing self adequately. FROG: new beginnings; metamorphosis. Ability to transform self. Evolution,growth and regeneration. Refreshing and renewing. Easy transition through stages. Being able to let go of the old and move on. Ease with change. Courage to accept change. Leaping swiftly from one level of consciousness to another; from this world to the Otherworlds. Sensitivity to others. NARWHAL: clarity of purpose and direction. Moving through feelings without being lost in them. Cutting through distractions, addictions or compulsions. Always moving forward. Purposeful movement. Empathy with others feelings. Telepathic communication. Awareness of where others are. Ability to be sensitive to others without losing one’s own focus and direction. Moving forward harmoniously as a group. locked in emotions, memories and knowledge. Utterly at home in the water element. Moving easily and comfortably through deep feelings. Peacefulness. Ability to reach goals. Tenacity. Gentle persistence. Fluidity. Lack of rigidity. Flexibility. Intelligence. Emotional intelligence. Evading danger when needed (by movement, camouflage or smoke screen). Association with Water Dragon. what is around one. Enthusiasm for life and exploring. Approaching life a joyful game. Playing with others. Accessing one’s inner, playful child. Nurturing and joyful parenting. Delight in company. Lightening up. Letting go of worries. Knowing how to turn work into play. Going with the flow. Gliding through emotional ups and downs with ease. SALMON: courage to face the past; determination. Gaining Spiritual wisdom by returning to our beginnings – history, childhood, heritage and lineage. Recapitulation – recovering one’s past to become free and reborn. Finishing unfinished business. Absolute, unwavering determination to face whatever needs to be faced; to overcome whatever needs to be overcome to achieve the goal. Death of the old self. Freedom from the past. New cycles and beginnings. SEA EAGLE: retrieving lost soul parts and memories. Overseeing soul retrievals. Piercing insight through emotions. Ability to penetrate emotions and grasp what is needed. Ability to rise out of emotions. Emotional perspective. Soaring spirit. Freedom of spirit. Able to move with ease between all the worlds. Psychic awareness. Spiritual awareness. inner feminine side if male, and one’s inner masculine if female. Teamwork, communication and cooperation between the sexes. Sharing r responsibility. Respect between the sexes. Willingness to be flexible and compromise. Lack of ego. Being content with where one is, and secure with who one is. Monogamy and commitment. Good parenting. Patience. Gentleness. Being aware of what is around one. Intelligence. Balance between effort and letting life flow. Moving through live with ease and grace. Enjoyment of one’s body. Positive body image. Releasing worries. Working with the flow. Enjoying life. Ease in exploring one’s emotional life and inner world. Comfortableness with one’s emotional ebbs and flows. At home with feelings. relationships. Honouring commitment to partner. Enduring love. Owning one’s projections. Relationship as a path of personal development. Relationship as a mirror. Harmony. Balance. Self-reflection. Self-awareness. Understanding and processing emotions. Tranquility. Moving gently and gracefully through life. Purity of spirit. Integrity. Slow but steady. Tirelessness when pursuing goals. Fidelity. TURTLE: slowing down; sense of calm and safety. Taking one’s time. Calmness. Being unperturbed. Knowing it will be alright. Navigating through emotional waters. Safety and protection when facing stormy situations and environments. Focusing on the present. Slowing down. Carrying with one a deep inner peace and sense of safety. Wisdom of age and experience. Older, wiser, calmer head. Ease with solitude. WHALE: expanded consciousness; communication over distance. Transcending limitations of perception. Expanded consciousness – planetary, interspecies, and inter-dimensional. Awareness of the vastness of existence. Experiencing all existence as being alive. Communication with other beings and entities. Expansion of perception of space and time. Meditative awareness. overwhelming feelings. Awareness of emotions. Remembering and facing deepest feelings. Seeing through the denial or suppression of feelings. Resolving unfinished emotions and sexual issues. Freedom from compulsions and addictions. Releasing guilt. Embracing sexual energy. Emotional depth. Releasing toxins from fat and fluids. BLACK PANTHER: sensitivity to energy; shapeshifting. Ability to see the light hidden in the dark. Understanding of the energy behind forms. Ability to transmute energy. Shape shifting. Healing on a molecular level. Understanding death and rebirth. Sensitivity to touch and vibration. Embracing sexuality and sensuality. Penetrating sight and insight. Complete control of one’s body. Suppleness and swiftness. Ability to be still, silent and move unseen. silent. Perseverance. Ability to draw others to one. Reclaiming one’s power. Comfort with solitude. balancing of independence with love and affection. At home in the darkness. Moving through fears. Seeing the unseen. Exploring new vistas. Knowing how to rest and relax. Patience. Ability to observe and wait before acting. Protection. Ability to absorb and neutralize negative energy. Fearless. Ability to fight when cornered. procrastination and stuckness. Moving on. Getting going. Acting on decisions. Efficient use of time, resources and energy. Flexibility. Ability to respond and adapt quickly; to move with speed and precision and modify plans quickly. Knowing when to put effort in, and when to stop and rest. Recovery after bouts of hard work and activity. Comfort with solitude. DOG: loyalty; companionship; spiritedness. Willingness to serve. Working well with people and in groups. Devotion. Faithfulness. Ability to give and receive love. Protection and defense. Protection of loved ones. Guide to safety. Ability to find things and sniff things out. Unbreakable spirit. FOX: independence of thought and action. Discretion. Confidence in one’s own ideas. Clever solutions for difficult situations. Breaking out of conditioning. Finding one’s own path and solutions. Making wise decisions. Claiming one’s own authority. Thinking for oneself. Independence without drawing unwanted attention. Ability to go unnoticed. Getting out of unpleasant situations quietly and without aggression. Camouflage. Shape shifting. Moving between the realms. FERRET: ‘Ferreting out’ what is hidden. Tenacity. Ingenuity. Intelligence. Keen observation. Focused and centered on goals. Incisiveness. Stealth. Not giving up. Ability to see hidden reasons behind things. Discovering hidden parts of the self. Agility. Flexibility. Creating safe haven for the self. LION: Strength through cooperation. Benevolent leadership. Using power well. Inner authority. Respect for others. Living in harmony in group situations. Dealing with group conflicts with grace and efficiency. Working cooperatively. Resolving anger, jealousy and selfishness. Patience. Contributing to group well-being. Courage to do what is right and best for others as well as for self. Allowing help from family and tribe. Doing one’s part to help group relationships. Take pride in family and ancestors. Caring for the young with gentleness and patience. The good parent. Clear boundaries. Fearless protection of the group. Knowing how to relax in the group. messages from dreams. Understanding dream meanings. Listening to one’s own inner self and knowing. Objective detachment. Letting go of what is no longer serving one. Leaving the old self behind. Knowing how to break from the past and separate from others when needed. Moving on with confidence and purpose. LYNX: knowing the truth. Seeing through lies, deceptions and facades. Keenness of sight. Divination. Developing psychic senses. Keeper of secrets and mysteries. Movement through time and space. Patience. Willingness to wait to achieve goals. Independence. Ease with solitude. Protection from psychic attack, invasions and intrusions. MONKEY: self-acceptance; shamelessness. Freedom from self consciousness, shyness and social inhibition. Ease with social gatherings. Self-expression. Valuing one’s self, as one is. Harmonious community. Playfulness. Curiosity. Inquisitiveness and great inventiveness. Lively intelligence. Connection with ancient wisdom. Openness to change and new ideas. Agility and adaptability. MOUNTAIN LION: integrity; walking the talk. Decisive use of personal power, intention and strength. Manifesting goals. Asserting self without aggression. Purity of heart and purpose. Staying true to ones ideals and aims. Focused action. Self-confidence. Teaching, leading or facilitating wisely and without ego. Quietly taking control of situations. Freedom from shame. habits. Death of the old self. Unwavering willingness to face changes. Rebirth. Renewal. Awakening to spiritual energy. Initiation. Spiritual wisdom and insight. Transmutation. Sexual power. Sexuality as a spiritual path. Creation. Fertility. Awakening kundalini. Cellular regeneration. Deep healing. Sexual healing. connections and patterns. Making a whole of the parts. Piecing things together. Understanding the threads. Knowing how the past shaping the present, and how the present shapes the future. Understanding how one weaves one’s own reality and destiny; how to weave the web one wants. Empowerment. Becoming the weaver, not the fly. Mending the past. Healing the future. TIGER: independence and confidence. Fearlessness. Comfort with solitude. Supreme confidence in being able to act alone. Focus, patience and surprise. Unwavering focus on the present. Great awareness of the here and now. Utter belief in one’s own strength and power. Fearing nothing and no one. Regeneration and vitality. Quick healing. Passion. Vigour. Sensuality. Mastery of one’s body. Sharpness of all senses. WOLF: healthy relationships. Balance between independence and being with others; between honouring own needs and those of others. Loyalty without losing personal integrity. Faithfulness. Capacity to bond. At ease both in a group and when alone. Finding freedom in relationship. Friendliness and sociability. Sense of community. Cooperation. Keeping clear boundaries with others, whilst still honouring commitments and relationships. Truthfulness. Sincerity. Joyfulness. Strength of character and spirit. Stamina. Determination. keeper of the fire chakra. Guardian of powerfulness and anger. Protector from shame. Protector from over-expansion. Empowerment and self-protection. Assertiveness. Liberator of energy, confidence, drive, leadership and enthusiasm. Clarity of vision, purpose and direction. Accomplishing tasks. Ability to digest things and transmute toxins. GRIFFIN: combining strength with discretion. Penetrating to the truth. Ability to look deep into one’s soul to find answers. Ability to feel with every bit of the soul. Ability to look deep into one’s soul to find answers. Soaring above the fray. Knowing of the balance within nature. Protector of the natural realm. Making daring leaps of faith. Connection to Fire. Physical protection. Protector of young children. PHOENIX: transformation; renewal and rebirth. Overcoming impossible odds. New life from apparent desolation. Hope from the midst of despair. Strength when facing trials and when feeling ‘burnt’. Reincarnation, death and rebirth. Rising from the ashes. Cleansing energy of fire. Burning off of the past, and becoming purer. Spiritual growth and regeneration. of the new. Gracefully allowing the old to leave one’s life. Finding a way through the process of change. Navigating through dark times. Knowing that dark timesnbring new opportunities. Facing one’s shadow side. Healing old, unresolved issues. Ability to see hidden things. Trusting one’s ‘other’ senses and intuitions. BLACKBIRD: finding one’s voice, clear communication. Singing. Using sound and voice to heal or to clear energy. Calls one to wake up and see the magic around one. Noticing the spiritual in the mundane. Increases connection with nature. Ability to remain grounded whilst walking a spiritual path. Aids in shamanic journeying and channelling. Pathfinder to the middle and lower worlds. seriously. Graceful and joyful change. Realizing change does not have to be heavy and traumatic. Transmutation. Moving on. Not being bogged down. Lightening ones load. Enjoying the dance of life. Keeping moving and changing. Trusting to the winds. CONDOR (VULTURE): death; rebirth; purification. Transformation. Transmutation and renewal. Making new life out of the old. Clearing out what is dead and finished. Trusting that we will be provided for. Knowing how to use what is provided. Going with the flow. Resourcefulness and patience. Effortless movement. Working with the environment. Calmness. Soaring above our limitations and everyday life. and perspective. Transcending the mundane. Rising above attachments and petty concerns. Seeing the bigger picture. Focusing on what is really important in a situation, and in life generally. Rising above judgements and prejudices. Piercing through to the truth of a situation. Spiritual vision. Connecting with Spirit. Awakening to ones spiritual nature.. Patience and acceptance. FALCON: effective action, perfect timing. Mental quickness. Speed. Agility. Decisiveness. Precision. Grace. Control of speed and movement. Watching. Waiting. Patience. Recognizing opportunities. Knowing when to strike. Success through quick, decisive and well-timed action. Seeking out and obtaining the things that you need and desire. Clarity of mind. worlds and dimensions. Spiritual quest and journeying. Breaking free from home and the familiar; setting off on one’s quest. Travel – either in body or in mind. Expanding one’s horizons. Cooperation and group exploration. Togetherness. Companionship and fidelity. Looking out for others. Compassion. Knowing when to lead and when to follow. Taking one’s place in the community. Harmony with seasons and cycles. things; returning revitalised and with insights. Seeing the energetic and spiritual nature of all things. Seeing through the illusion of separation. Clarity of vision. Healing through (spiral) dance and movement. Joyful reconnection to: others; community; real self; spirit. Creative union of opposites. Sacred marriage. Fertility. HAWK: clear vision and perspective; spiritual integrity. Seeing the overview. Awakening to one’s higher truth and spiritual consciousness. Ripping out what does not honour one’s integrity. Movement between the realms. Ease of travel to the upper worlds. Alertness to messages and omens. Mental and spiritual strength, clarity and energy. Discrimination. Seeing with clarity. Piercing through illusions. Prophetic insight. focus. Moving with slow, deliberate action. Persistence when others would give up. Waiting patiently for what one needs. Taking the time necessary to reflect. Seeing through emotions (water), picking out what is important. Refusing to be hurried. Enjoying own company. Independence. Ability to stand alone. Being clear about boundaries. Knowing the right time to act. Decisive action. Assertiveness. Claiming what is ours. Strength of convictions. productive. Fulfilment from pursuing one’s dreams. Purpose and motivation. Knowing one has to go out and get what one wants. Knowing when to move on without lingering or regret. Finding one’s ‘honey’. HUMMINGBIRD: joyful living; finding magic in life. Wonder and delight. Celebration of life. Seeing the magic and beauty around one. Lightening up. Finding the joy in situations. Ease in facing unresolved issues. Clearing away heaviness, emotional residues, and unfinished business. Space clearing. Ease during transitions and travel. Understanding the use of flowers in healing. Connection to nature spirits and the fairy realms. MOTH: Finding one’s way in the dark; messages from the otherworlds. Comfortableness in the dark. Ability to find a way from the darkness back to the light. Ability to go into the unconscious and other realities to bring back messages. Psychic sensitivity and abilities. Telepathy. Intuition. Ease with solitude. Camouflage. Lack of ego. Discretion in speech. Working behind the scenes. Hidden beauty and talents. OWL: accessing and acting upon one’s highest wisdom. Navigating through dark times. Finding one’s way through to wisdom and light. Facing things that need attention. Clairvoyant and clairaudient. Enhances intuition. Ability to know things that are hidden to others. Hearing not just what others say, but the meanings behind the words. Enhanced clarity of mind. Seeing and knowing the truth. Speaking truth with a compassionate voice. PEACOCK: confidence; self-esteem; knowing one’s beauty and worth. Authenticity and authority. Walking with dignity. Comfort in the spotlight. Ensuring one is heard and noticed. Finding one’s voice. Getting the recognition we deserve. Clairvoyance. Seeing things clearly. Voicing one’s own truth and viewpoint. children, of the lost inner child, and of those who care for children. Letting go of fearful thoughts. Keeping grounded and close to the earth. Connection to earth and ancestral kin. Healing one’s relationship to family and the earth. Knowing one belongs, and is loved and cared for. ROBIN: optimism; recovery from trauma. Rebirth and renewal.Springtime, new growth and beginnings. Sowing new seeds for the future. Changing areas of life that are stagnant and outdated. Making changes with joy in our hearts. Letting go of one’s personal dramas. Growing up. Being able to be a loving parent, to oneself or others. Joy and new hope. Restoring faith within one’s heart. Moving forward with self belief, confidence and courage. RAVEN: knowledge of the other realms. Understanding the deeper significance of signs, signals and synchronicities. Exploring the unconscious and hidden areas. Developing awareness by making the darkness conscious. Mysticism and magic. Death of the old self. Rebirth. Shapeshifting. Seeing through the illusion of surface appearances. Understanding how the self and the universe are multidimensional. Stepping outside time. Moving between the realms. Transmutation. Waking up to spiritual reality. SPARROW: joyfulness; optimism; self-esteem. Knowing your innate own self-worth. Not being intimidated by authority. Pride in just being oneself. Nobility in simplicity. Celebrating one’s ‘ordinariness’. Pluckiness. Happiness. Taking joy in everyday life. Friendliness. Optimism. Spiritedness in adversity. Freedom From worry. Trust in own abilities. Knowing one will survive. Knowing that things will be alright. WREN: knowing that small is beautiful. Self-esteem in one’s smallness. AIR DRAGON: clarity; insight and awareness. Clarifies thoughts and ideas. Uncovers hidden thoughts, buried messages and denied knowledge. Frees the mind from dogma, delusion, judgements, prejudices and faulty thinking. Liberates imagination. Stimulates the intellect. Frees the breath. The Sun will one day be about the size of Earth. The changing appearance of the Moon, caused by the different angles at which it is illuminated by the Sun. The position of the Moon within the tropical zodiac, whose twelve 30 degree segments(signs) along the ecliptic were named more than 2,000 years ago after constellations within each area. Because of precession and other factors, the zodiac signs no longer match actual constellation positions. Venus shines at its brightest before dawn while Mars still rules the evening sky. 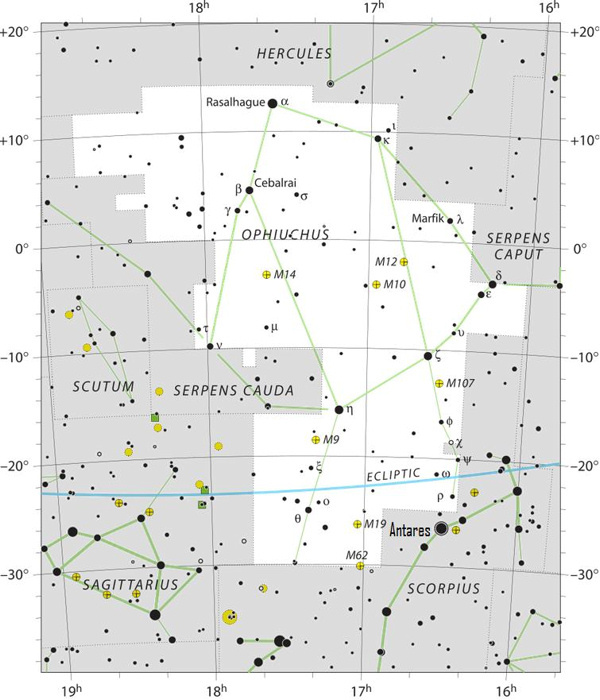 Algol can guide you to one of the finest binocular star clusters in the late autumn sky. Just after darkness falls, target the variable star through binoculars and place it at the bottom of your field of view. At the top of the field, you should see a hazy patch of light roughly the size of the Full Moon. This is M34, a collection of roughly 100 suns near Perseus’ border with Andromeda. Through 10×50 binoculars, M34’s brightest stars appear to twinkle against the unresolved glow of the cluster’s fainter members. To find more objects worth exploring these autumn nights, see “November’s 50 finest deep-sky objects” in the November issue of Astronomy. Last Quarter Moon arrives at 7:19 p.m. EST. It rises in the eastern sky shortly before midnight local time and reaches its peak in the south near sunrise tomorrow morning, by which time it appears slightly less than half-lit. Throughout this period, our satellite resides among the background stars of Leo the Lion. Look high in the south after darkness falls this week and you should see autumn’s most conspicuous star group. The Great Square of Pegasus stands out in the evening sky at this time of year and, because it lies due south, it looks like a nearly perfect square. These four almost equally bright stars form the body of Pegasus the Winged Horse. The fainter stars that represent the rest of this constellation’s shape trail off to the square’s west. Venus appears brilliant from the time it rises a little before 4 a.m. local time until close to sunrise some three hours later. It stands about 25° above the southeastern horizon an hour before the Sun comes up. Shining at magnitude –4.9, it appears slightly brighter today than at any other time during this morning apparition. (The difference is essentially imperceptible, however — it appears less than 0.01 magnitude brighter today than it did yesterday or will tomorrow.) When viewed through a telescope this morning, Venus spans 40″ and appears one-quarter lit. The days of viewing Saturn in the evening sky are dwindling rapidly. You can find the ringed world about 10° high in the southwest 45 minutes after sunset. The planet shines at magnitude 0.5, more than a full magnitude brighter than any of the background stars in its host constellation, Sagittarius the Archer. Although the best views of Saturn through a telescope came earlier in this apparition, it never hurts to take a final look. This week, the planet’s disk measures 15″ across while the ring system spans 35″ and tilts 26° to our line of sight. Astraea is a minor but important goddess from Greek mythology. Known as the “Star Maiden” or “Star Goddess”, she is best known for being the last immortal to live among the humans on Earth before leaving in disgust of humanity’s brutality and wickedness. There are arguments about who her parents are. She is the daughter of either Zeus (Greek God) and Themis or of Eos and Astraeus. She is often depicted as a winged woman, carrying a torch and the scales of justice. She is also said to have helped Zeus in battle, and is sometimes portrayed carrying his lightning bolts with her. Astraea is most often associated with two of the major constellation myths, those of Virgo and Libra. While there is much debate about her role in Virgo mythology, I believe that she is the most likely candidate for the role of Virgo. Whether she is or isn’t the figure of the Virgo myth, she is definitely very closely connected to both Virgo and Libra mythology. Some believe that Astraea’s image is the portrayed on the “Justice” card in the major arcana of the tarot. There is reason to believe that this is true. In the most famous rendition of the card’s artwork, a winged woman carrying a torch and thunderbolts stands beside the throne of Zeus. The name “Astrape” is inscribed above her. Though often called “the virgin goddess”, Astraea is best known as a goddess of Justice, along with Dike (Greek mythology) and Erigone (Roman mythology), with whom she is often interchangeably mentioned. When she left Earth for the heavens, she essentially took the “Golden Age of Man” with her. Later literature inferred that once humanity realized what it had done, they hoped for her to return, inferring that she would bring the Golden Age back with her. This is notably similar to the “return of the messiah” in Christian mythology. Though not one of the most well-known the Greek gods and goddesses, the Star Maiden’s influence has lasted throughout the years. Greek epics and English literature refer to her in poems over several centuries, including one by Ralph Waldo Emerson. In modern mythology the image of Astraea is re-imagined in the video game “Demon’s Souls” published by Atlas Software in 2009. In the game, a character named “Maiden Astraea” rules over a land of sickness and disease. She is a beautiful, powerful, and once noble woman whose soul has been corrupted by demonic spirits and has charged herself with taking care of those living in the uncivilized, plague-infested land. This re-imagination combines the images of the goddess Astraea with the role of the immortal monster Echidna, who is also an important mother figure in Greek mythology. Whether this was intentional or not, it serves as an interesting example of ancient mythology transformed into modern mythology. On Wednesday, November 28th, We Celebrate…..
About Chiu-rang-gura: This grouping of goddesses includes those who dwell in rapids, rough water, or waterfalls, and they can guide us through any rough waters that our lives face. Their name literally means “senders down of the current.” Thanks to water spirits like these, Niagara Falls has become a favorite tourist attraction, especially during this festival. To Do Today: This breathtaking festival takes place nearly in my backyard. At this time of the year, Niagara Falls is bedecked with hundreds of lights, including colored floodlights that adorn the falls in potent beauty, accented by these goddesses’ vibrant power. If you find yourself facing difficult times right now, know that the Chiu-rang-guru can ease the flow of problems. One way to magically mimic this is by using a freestanding Jacuzzi in the tub turned on high. Immerse yourself in this torrent, then speak the goddesses’ name and turn it down slowly. When you’ve reached the last setting, turn off the machine and pull the plug in the tub, letting those problems literally flow down the drain. The effect of this activity can be accentuated by using a black light in the bathroom, glitter in the water, and candles. This turns your tub into a light show in which you can wrap yourself in Chiu-rang-guru’s spirit and be renewed. Ritual: Place the candle in the large black bowl or cauldron, affixing it with droppings of another black candle. The candle should be tall enough to extend a few inches above the rim. Fill the cauldron to the rim with fresh water, without welling the candle’s wick. Deep breathe meditate, clear your mind and light the candle. Visualize the suspected spell’s power as residing within the candles flame. Sit in quiet contemplation of the candle and visualize the power flowing and growing within the candle’s flame. As the candle burns down, its flame will eventually sputter and go out as it contacts the water. As soon as the water has extinguished the flame, the spell will be dispersed. See the spell power explode into dust. Pour water in a hole in the ground and bury the candle. object such as a crystal ball (or skull) for the purposes of divination. Anyone can learn to scry. It is all a matter of practice. If you meditate it will be much easier. If you you ask a question – and place lots of energy in the answer – it will manifest faster for you. the same surface at the same time for information. Though some people go through rituals before they scry – it isn’t necessary. If you wish to ask your spirit guides for guidance go ahead. Some people say a little prayer and ask for the correct information to appear. to blink or allow your point of focus to wander a bit; this is not a method of self-inflicted torture). Eventually, you should be able to pick out shapes or images in the scrying surface; these may appear ascrude sketches, or occasionally with the clarity of a photograph. You will actually see these images with your eyes. scrying surface is irrelevant; do not be distracted by it. 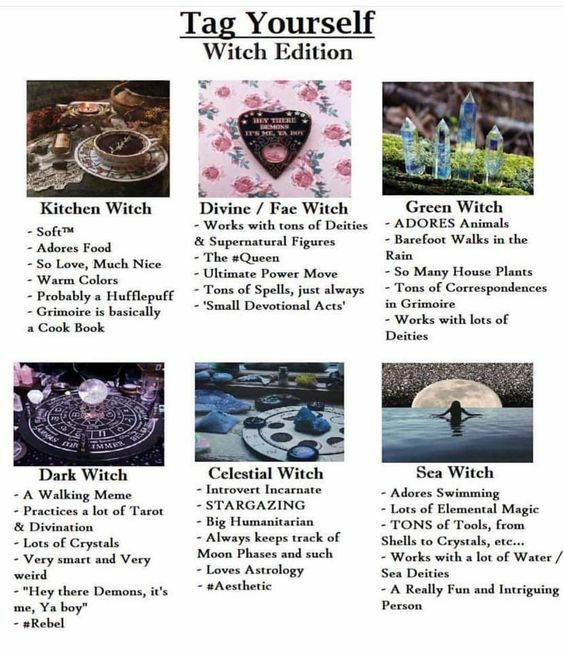 particularly good for the first stage of the scrying process. However,the vividness of the visual images formed in this way may tend to pull your attention back from the purely mental images that should follow, thus disrupting the natural flow of ideas. Smooth, neutral surfaces, like the surface of a dish of black water, a crystal ball, or a black mirror, provide relatively few visual cues to get you started, but if you can make the transition to mental imagery quickly, the visual surface will obligingly fade into the background. If you are using a crystal select one that calls to you. Most people prefer a crystal ball or crystal skull. The crystal must be clear quartz – a larger crystal is best. The crystal will seem appealing to your eye. 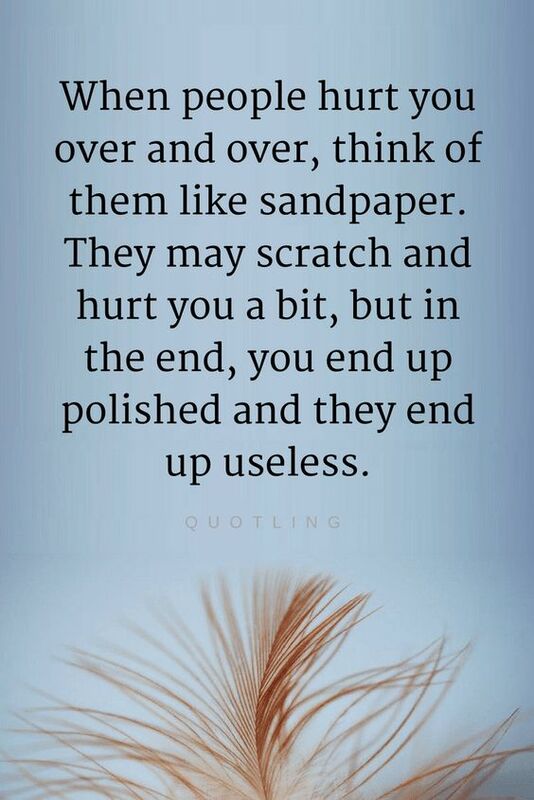 It does not have to be your ‘personal crystal’. The crystal can be clear or have inclusions in it. Many have rainbows. Some develop cloudy areas when you scry with them. It is best to find a quiet place to scry, so that you can hear your thoughts without distractions and concentrate on the objects you see. Make yourself comfortable. You can prepare a tape recorder to record any messages you get from your scrying session. You can scry alone or with another person to talk to. times to see different things within it. a the images that appear on the screen behind your eyes. frequencies in their time on the Earth plane and stored more information. Many crystals are record keepers, especially those from ancient civilizations, such as Atlantis. Crystal skulls, made from very old crystals, are example of ancient crystals. They seem to have an endless amount of messages to give. Most crystals have flat areas through which one can look. These areas are called windows or doors. Some people need time to adjust their frequency to that of the crystal so they can read into it. More experienced readers, such as myself, can pick up any crystal almost instinctively and feel the energies as if it is talking to me. They can heal you while you are working with them though you don’t realize it as first. They simple balance the energies in your physical and other bodies. You can place your crystal over a light of some kind to get a better look at the inside. Crystal stores often have stands with light in them that you rest your crystal on. The light them penetrates through the crystal. I prefer holding crystals up to sunlight! It gives the best clarity. different patterns within them from the energies they receive. When you are ready, have as much light as you can running through the crystal. Place one or both hands – on either side of it. Look deeply into the crystal. Allow your eyes to focus on the images within the crystal. Examine all of the shapes until you find one that calls to you. You will intuitively know what’s best. them. You may want to close the light – then close your eyes – if they works better for you. from it. Try another crystal. Stop, look and listen. Any recently restored confidence could be temporarily short-circuited as Venus makes an off-kilter, 150-degree liaison with wounded-healer Chiron (4:04am), Vesta forms a caustic, 45-degree tie to Neptune (5:40pm), and less than three hours later another 45-degree encounter occurs between mythological brothers Jupiter and Pluto (8:29pm). Compared to the all-pervasive enthusiasm present this past Sunday and yesterday, this 24-hour time-period can prove rather disappointing. However, the moon in Leo always contains a creative reservoir of energy that you can use for advancement in favorite arts, crafts and hobbies. Plus, a fairly rare and inspirational, 72-degree aspect between Ceres and Pluto (11:52pm) has a nurturing power that can blunt some of the stress emanating from the three challenging sky cycles. See which color holds the most powerful energy for you! Colors carry energy, and certain colors can bring out something in you that makes you truly shine. They can enhance confidence, calm restless energy, empower strength, and so much more. Keep reading to see which color brings out the most powerful traits in YOUR zodiac sign! The color red stirs Aries’ soul and enhances passion, energy, and initiative. It’s the color of excitement and assertion, which supports Aries’ active nature and eagerness for life. Red demands attention — and Aries is a sign that doesn’t like to be ignored. It’s also no surprise that Aries’ ruling planet, Mars, is known as “The Red Planet.” The more shades of red Aries surrounds itself with, the greater their natural powers can be. Fresh green nurtures Taurus’ spirit and reinforces its connection to nature and growth. Just like the lush pastures the Bull resides in, green represents growth, and Taurus is a sign of absolute progress. The return of green in the springtime — Taurus’ season — further enhances its connection to this sign. Inspiring yellow lifts Gemini’s spirit and triggers curiosity and brilliant thoughts. This inspiring and life-giving color shines through in Gemini’s exciting, upbeat nature. Mimicking the warm Sun, yellow lightens and brightens everything around it. As the color of the mind and the intellect, yellow enhances Gemini’s mental powers and focus. Bright white and silver connect Cancer with its intuition and provide a clean, clear slate. Like the glistening surface of water or the shining face of the Moon, silver and white are colors of intuition and purity. They increase Cancer’s sensitivity and understanding, allowing love to flow at its deepest level. Glistening gold empowers Leo’s warm heart and strengthens its positive spirit. Shining with royalty and class, gold has always been a symbol of power and prestige. So it’s no wonder Leo — the King of the Jungle — is stirred by this expressive hue. Gold gives Leo the attention it wants, and supports its generous nature and warm, optimistic outlook on life. Classic, natural brown and green keep Virgo grounded and focused on continuous growth. 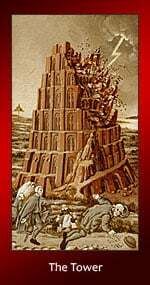 Brown represents stability, and supports the careful and methodical approach the Virgin takes to life. In nature green is the color of growth, and strengthens Virgo’s lifelong plight toward self-improvement. Airy pink and light blue help to open Libra’s heart and soften its presence. These pale hues bring a calming and likeable presence to Libra’s personality. Symbolizing a cool, subtle breeze, light blue increases clarity and balance, while pink invokes Libra’s sweet and loving nature. Dark and mysterious black keeps Scorpio intensely inquisitive and focused on transformation. Black represents the depths where the Scorpion resides, and strengthens its drive to look below the surface and question everything. In western culture the color black is associated with death and rebirth, enhancing Scorpio’s strength of letting go and its ability to transform itself. As the color of spirituality and awareness, lush purple pushes Sagittarius’ philosophical mind toward enlightenment and openness. Also a color of abundance, purple encourages Sagittarius’ natural luck and positive nature, and drives it to continuously broaden its horizons. Earthy grey and brown help Capricorn find the strongest and most practical path to take in life. These strong but neutral colors enhance Capricorn’s solidity, reliability, and traditionalism. A combination of extremes — white and black — grey increases the conservative nature of Capricorn and its no-nonsense approach to life. Brown represents stability, and can greatly benefit the Goat’s steadfast determination as it strives to reach its goals. Calming blue helps encourage Aquarius’ brilliant ideas and balance its restless energy. Just like the sky and the waters Aquarius is so closely connected to, blue represents vastness and creates a smooth flow of ideas, conversation, and experimentation. Fun fact: Uranus — Aquarius’ ruling planet — is also blue! Perfectly pale green brings about healing and renewal and connects Pisces with its subconscious. As the color of life, light green represents renewal and inspiration, encouraging the healing and rejuvenating energies that Pisces is known for. Virgo Moon can help you keep things in perspective. It takes time and effort to build relationships. And right now, career help could come from people who can vouch for you. With Mercury and the energy of optimistic Jupiter influencing your grand plan dreams, it’s important to mix with those you respect and trust. The energy of Mercury and Jupiter can give you an opportunity to work with others to increase your financial security. Mixing business with pleasure could be very good right now as well, but check the guest list to ensure that someone significant has not been left out. Life does not stand still, and even when you seem idle, your mind still races. And you can expect to be even busier with personal arrangements, now that Mercury and Jupiter are both opposite your sign. But before you go ahead with plans, check that nobody has changed their mind, as Mercury is retrograde. You are one of the most giving signs of the zodiac, but don’t let anybody take advantage of you. As Mercury and Jupiter both influence your daily schedule, make sure you have enough time planned out for your own needs. You are self-assured enough to accept that not everyone is going to be on your side, but you also don’t want to turn people off by being overly confident and coming across as self-important. When trying to get someone’s attention, show your sincerity. There’s a big difference between doing what you want and what needs to be done. And if you don’t make a choice one way or another, you could miss out on opportunities. Do take time to think things over, but come to a conclusion soon. Make a decision and don’t feel guilty about it. Unsolicited advice is not always welcome, unless it’s directed at very close friends and you know they won’t mind. And, even then, they still may choose not to listen, so don’t get too invested in the outcome. People may claim to want help but, actually, they just want someone to hear them out. Don’t be a spendthrift over the holidays unless you can really afford it. With Mercury and Jupiter both in your area of finances, it can indicate that there may be financial details you need to know about. For you, Sagittarius, your schedule is always busy, that’s the way you like it. And with Mercury, Jupiter and the Sun all in your sign, be careful not to be so busy that you gloss over an important discussion. You will want to get the facts, and preferably in black and white. Think carefully before you decide to share a confidence with someone at work or to do with business. Not everyone can be trusted to keep your secrets under wraps. It may highlight someone’s intentions, but you could find out about their loyalty the hard way if they decide to go behind your back with sensitive information. Communication planet Mercury and Jupiter can highlight the need for a discussion with a friend in relation to monetary matters. The astral aspect can help uncover different options. Keep an open mind; someone’s different opinion could be worth a closer look. A discussion at work can have an effect on your relationship in some way. And if you need to do more hours over the holidays than expected, then tell the people who are special to you, so they don’t think you’re ignoring them. An openhearted discussion can solve just about anything. Keywords: joy, friendship, union, stability, brotherly love! 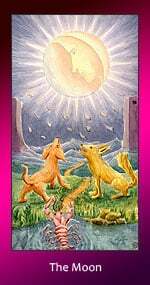 The Sun card stands as a symbol for the paternal, masculine energy, the cosmic father, and brotherly love. Being regarded as the primary source of life, light, and warmth, the Sun banishes the darkness so that we may see our path clearly and are enlightened within. As a result, we can see the truth and understand its impact. 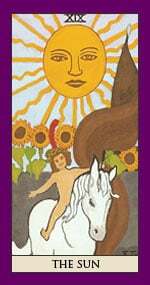 The Sun card is representative of energy, good health, virility, opportunity, generosity, self-confidence, success, marriage, children, and material wealth. These positive elements provide us with the confidence that we will be successful in all our endeavors, be it in the spiritual, material, or emotional realm. We need to be aware of the negative elements such as boisterousness, arrogance, vanity, and false appearance that can induce failure or uncertainty. The Moon is a timepiece that says conditions are changing. However, you should proceed cautiously. In love, go lightly and give things the time and the opportunity to take root. In life, it is a moment between the end of old ways and the beginning of new. And, beginnings should be nurtured as one cares for a plant. The seed is the initial decision for which it is time. You may feel trapped. Sometimes this card appears when somebody you love is imprisoned or kept away from you. This feeling of confinement may be self-imposed, or it may be placed upon you by somebody who feels the limitations are best. You can use this to avoid dealing with problems for now, but there’s no way to break out with force. Instead, argue diplomatically for the rights for freedom, even if this battle must be waged against your own mind! The Celts often believed the hawthorn to be a portal to the Otherworld. The hawthorn is a hardy plant commonly used for hedges and great firewood. It can even be an invasive species at times. The key points to remember with the letter Huathe are obstacles, walls, and obstructions. 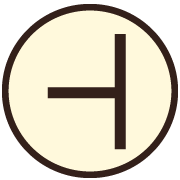 Its ability to form a natural wall gives the diviner an idea in what this symbol can mean to them and their lives. Fortune – To overcome obstacles and walls you must make a personal sacrifice, to gain we must lose something of ourselves! Good Wednesday Morning To All Our Dear Brothers & Sisters of The Craft! We reach out to hold one another’s hand. We give birth to an ancient way of life.